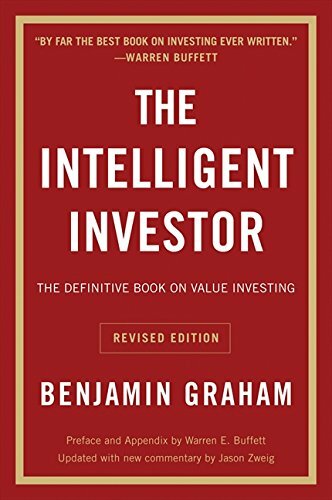 The Intelligent Investor Summary provides a free book summary, key takeaways, review, best quotes and author biography of Benjamin Graham’s famous book. 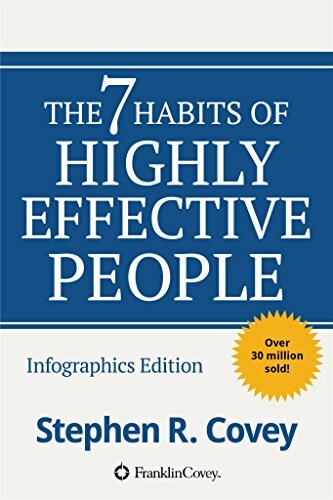 Every investor should have this classic on his/her bookshelf. The teachings of Benjamin Graham are the fundamentals which guided many leading investors. Warren Buffett and Vanguard Group Founder John Bogle are some examples. This book The Intelligent Investor was first published in 1949. Hence, the content shows some signs of age. This is evident when the author talks about interest rates and time-sensitive topics. But, these are not major issues. When the author discusses the core investment topics, his counsel is priceless. It is a must-have book for all existing and aspiring investors. How to learn the core precepts of value investing as provided by its founder Benjamin Graham. Warren Buffett learned how to invest from Graham. Enterprising investors should see investing like they’d see other business. Most investors don’t have the time to see investing as a business. Hence, they must follow a defensive strategy. There is no evidence to suggest that market timing and forecasting work. Value investors must focus more on the operating performance and dividends of the firm they own. They should not focus more on the shifts in their stock prices. When measuring value, check the firm’s earning ability. Then multiply and adjust the asset values. All investors want to be above average. Shareholders must check the reliability of management. Stockholders are responsible for ownership. They also have certain rights. Hence, stockholders must employ them seriously and consistently. Financial markets are very different now than what they were in 1949. This was when Benjamin Graham wrote this classic book The Intelligent Investor. Stock valuations are quite higher, and saving bonds which Graham recommended are not appealing anymore. Graham explained the market using the image of a character he named “Mr. Market.” This was a mythical person who provided investors a price at which he’d buy their shares daily. Then he would sell those stocks for more. Graham recommended the investors always to ignore such Mr. Markets. But, today investors are engaging 1500 times more with Mr. Markets than earlier. Hence, most investors overlooked this good piece of advice. Defensive – These investors plan to save money, make the least possible mistakes, and get a decent return. They also hedge against risks. Defensive investors desire both freedom and safety. Hence, they should put 40% of their funds in savings bonds. Besides, they can put a good amount in common stocks. This serves as a hedge against inflation. Also, they can get dividend income from any rise in stock price. Enterprising (or aggressive) – Such investors want to buy securities for less than their value. These people might gain by trading on the market average. They select market-beating stocks and growth stocks. These investors buy when the market is down and sell when it is upbeat. When investors try to beat the market average and pick winning stocks, then this is speculation, not investing. But, the other techniques are real investment strategies. Buying undervalued securities might be the surest way of gaining riches. But the investor has to devote enough effort and time to become an expert. Investors ought to have a sense of the past. This way they can place market shifts in hindsight. As most investors don’t have such reflection, trends become permanent. Investors must treat investing as a business. Many people in business who’re wise in their work tend to lose sight when they see Mr. Market. Smart investors aren’t uncommonly insightful or intelligent. Instead, they treat the market as a business. Success in investing is dependent more on character than the mind. The investor should have the courage to avoid urges to speculate, follow the crows and make fast money. Speculators try making money on how market shifts. In contrast, Investor seeks buying great stocks at decent prices and hold them. Market shifts matter just because they give prices at which it’s wise to sell or buy. An average investor mustn’t wait for the market to fall to buy stocks. Unless prices are very high, you must build a stock portfolio via wise buying patterns. Averaging is one of them. Most investors try identifying stocks which will beat the market in near-term. This is like speculation and is not recommended. The stock price entails information on predictions of lower or higher prices. It shows the net effect of such opinions. A value investor may neglect daily shifts in prices. Investment advisors could be helpful. But don’t depend on them for guidance on how to earn a profit. Such professionals can help you get a low-risk level with conservative income. They can also give you market and economic information. But, don’t rely on their market predictions. Brokers are at the end businesses. They’re nowhere close to professional firms like a law firm or investment banker. Hence, they don’t see consumers as likely buyers for the securities. How investors use advisors and bits of advice relies on whether they’re enterprising or defensive. The former work with advisors and want in-depth discussions and suggestions. But, the latter must confine their purchase to high-quality bonds with low risk. They only need straightforward and straightforward advice about which shares meet their needs. Also, they need to know if prices are in tune with the earlier averages. A well-built stock portfolio isn’t very risky for a defensive investor. Though stock prices change, the investor isn’t likely to lose money just because the market falls. They lose value only when they sell at a price less than the buying price. Enterprising investors must believe in their own decisions. They should seek advice only for knowledge to add to their skills. Never for any direction. Two principles of portfolio management are the application to such investors. Firstly, don’t buy corporate bonds as US saving bonds give equal returns at much less risk. Secondly, don’t purchase high-cadre preferred stocks. It’s wise to invest in low-quality corporate bonds and preferred shares if prices are one-third below average. Foreign bonds should be left alone. Same applies for common stocks and convertibles with recent great earning performance. New issues are appealing only when they’re way below their intrinsic value. Market timing – Buying when the market is low and selling while it’s up. This is appealing yet risky. Future shifts in the market may not match earlier changes. One benefit of this formula is that it encourages investors to act as contrarians. This way they buy and sell against the crowd. This is a wise way to go. But, other than this, market timing has little benefit. Growth stocks – Most investors want to select stocks which will beat the market in the future. Finding stocks which outdid in the past is easy. But predicting upcoming performance is hard. Don’t end up overpaying for growth. Buying bargains – Preferred stocks and bonds could be bargains when their price is less than average. Common stocks could be a great deal if their internal value is higher than the market price. At times, some stocks sell at less than their working capital value. The secondary stocks of industry can also be great deals. Market inflates the risk of stocks which aren’t dominant in the industry. But, people buying bargain stocks can benefit from the high returns on the dividend. Besides, they can also profit from reinvesting earnings and price increases over a time-period. “Special situations” – Situations like mergers, bankruptcy, reorganization, etc. provide opportunities to make a profit. Stocks are often available at discounts during such events. Estimate the earning capacity of a company to measure value. Multiply this correctly and take into account asset value. Earning capacity is an estimate of the firm’s earnings over five years. Guess a firm’s average earnings over this period. You can do this by averaging bad and good in previous years. Then estimate margins and revenues for the future. Adjust previous years’ numbers to show any changes in capitalization. You should use a maximum multiplier of 20 and a minimum of 8. This allows for changes in earning in the long-run. If the value arrived at from earning power is higher than the fixed assets’ value, subtract from the earnings value change. We suggest: subtract a quarter of the sum by which the earning-power value is higher than two-times the asset value. This allows for a 100% premium on tangible assets sans penalty. If such value is lower than the net current assets’ value, add 50% of the variance to the value measured on earning-power. In unusual events, like war short-term royalties or rentals, adjust the value accordingly. Assign value among bondholders, stockholders or preferred shareholders. Before this step, compute the company value as though its capital structure had only common stock. The more debt and preferred stock in the capital structure, the less you can rely on the appraised value. Decisions should not be taken on this value. When the appraisal is one-third greater or less than the current market value, you can base your decision on this. If the difference is less, then the appraisal is just a factor to consider in the assessment. Management efficiency – Management is very crucial in the performance of stock investments. But investors don’t have much interest in checking management quality. Even less so in removing incompetent managers. Stockholders should develop an interest in the efficiency of the management. They must monitor the management quality with objectivity. If the return to shareholders falls even though the market booms, then they must seek justifications. The information necessary for such an analysis is available. Shareholders might think those chosen directors which defend their interests. But, they should remember that managers select directors. Many biases take place and directors tend to fall in management’s favor. “Outside stockholders” – Shareholders external to the company are outside stockholders. They aren’t involved in managing or controlling the firm. Insiders usually manage firms to serve their interest. Many times, even at the cost of outside stockholders. Such bias is most visible in holding companies. In such firms, the stocks are decidedly less valued in comparison to the asset values behind them. Insiders can remove this bias by breaking the holding firm, though outsiders will profit. But managers rarely do this on their own. Hence, stockholders of holding companies continue agreeing with the management that doesn’t act for their interests. Shareholders have both responsibilities and rights of control. They must use them wisely. 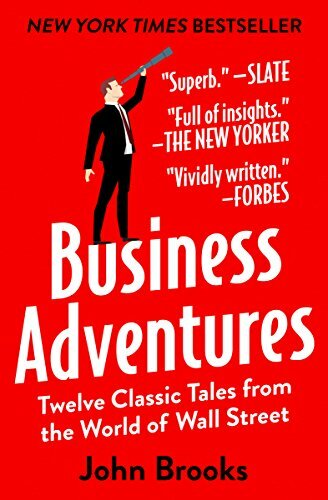 If you are an investor and looking for some great help regarding making investments, then this book is a must-read. Benjamin Graham has compiled so much informative and useful information with regards to investment in this book. There are fundamentals of investment, which are explained in detail by the author. It is important for every investor to understand what are some of the basics of investment, and this book is a great one to understand that. It explains that there are two major types of investors, one is called defensive, and the other is called enterprising. The defensive investors are the ones, who don’t believe in making less possible mistakes in their investment decisions and ensure that their money is saved for better investment opportunities. On the other hand, enterprising investors are aggressive in approaches, who want to take brave decisions, like they may buy stocks when the market is down. It is true that today’s financial markets are different from the time when this book was published. But still, the author has explained various basic concepts, which can be crucial in making investment decisions. The one concept which I liked in this book is about speculations. The author has tried to explain that making mere speculations is not good, and speculations cannot be related to investing, as most of the times, speculations get failed. There is no concrete evidence to suggest that market forecasts, as well as timing, will work in favor of the investors. So, one should completely avoid making false speculations. The details about value investing are also fruitful for investors. The famous people like Warren Buffet has learned about value investing in this book, so it shows that there is a lot to learn from the material of the book. Everyone who aspires to be an investor or an existing investor, this book is going to be a great tool for them to make investment decisions with less possible mistakes. Benjamin Graham (1894-1976), is famous as the father of value investing. He also authored Security Analysis and The Interpretation of Financial Statements. What do you feel regarding this The Intelligent Investor Summary? Please feel free to share your comment and thought with us! I have learned in my course books that there are two types of investors including enterprising and defensive but still I need to learn how to distinguish both of them. I have a question, why speculation cannot be described as investing? Why do investors want to purchase all the securities for the fewer values? The main difference between speculating and investing is the amount of risk undertaken in the trade. You may refer to another summary – The Warren Buffett Way Summary. It would surely help you to understand more about value approach. Investors have a keen understanding of past and find shifts in the market. According to my understanding, the success of a business depends on the investment but courage is also required to avoid any kind of urges and to speculate the crows to make the money fast. Is there a way to find the best opportunity for the investment? According to Peter Lynch, investment opportunities are everywhere! Please refer to One Up On Wall Street Summary to see how you can find the investment opportunities nearby!